What is a Water Soluble Fertilizer? Fertilizers typically contain nitrogen, potassium and phosphorous to feed plants and foster growth. A water soluble houseplant fertilizer. A water soluble fertilizer is a compound that dissolves easily in water and provides nutrients for plants. This type of fertilizer may then be absorbed quickly and completely by the plant root system. It is typically used entirely by the plant and washes out of the soil without leaving behind an excess of unused nutrients or toxins. 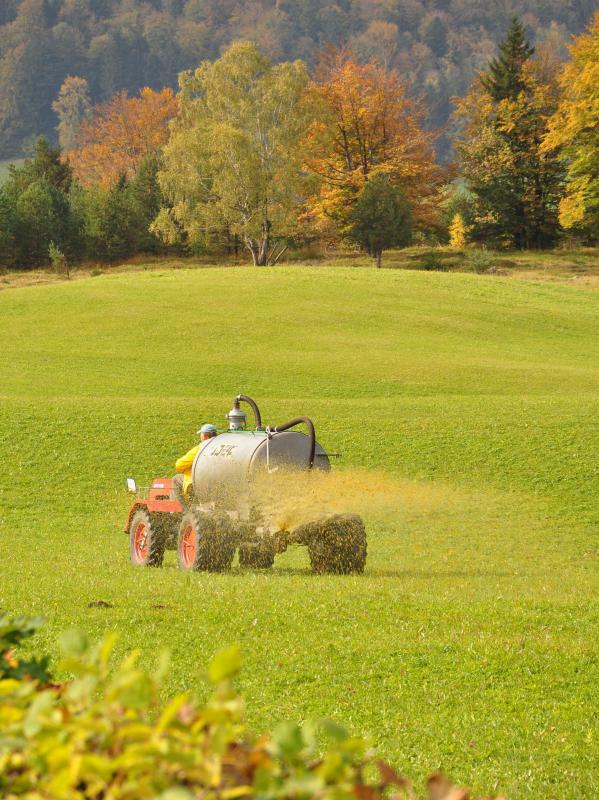 All chemically-created fertilizers contain varying amounts of nitrogen, phosphorus, and potassium, among other ingredients. These three nutrients, also known as macronutrients, are usually listed on the label as numbers in this precise order. Therefore, a label that reads '10-8-5' would contain a high amount of nitrogen, a medium amount of phosphorus, and a relatively small amount of potassium. These numbers are rarely the exact formula that is contained in the fertilizer, as manufacturers prefer to protect their recipe secrets from competitors. 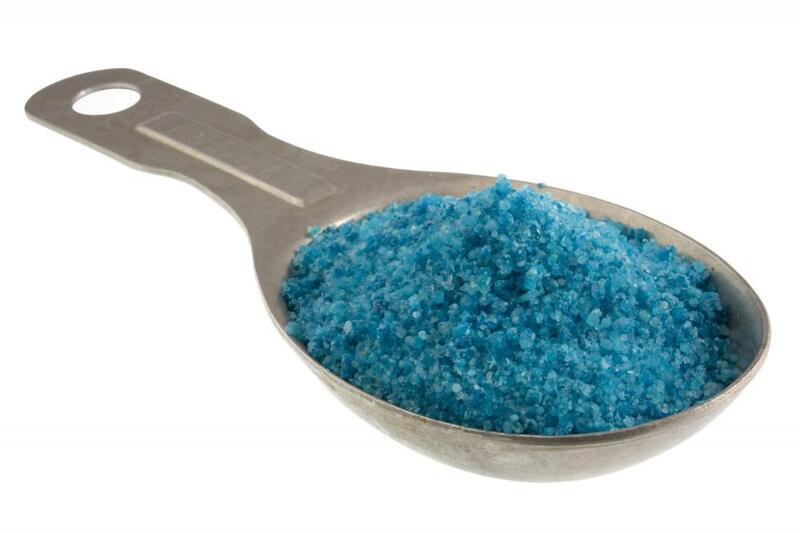 A water soluble fertilizer also may contain magnesium, calcium, molybdenum, sulfur, and copper. Every garden contains a different type of soil with a unique mixture of clay, loam, and sand. These soil mixtures typically benefit the most from receiving chemical additives that specifically provide for any pre-existing deficiencies. A clay-based soil with high acidity may require larger amounts of nitrogen than a soil with a balanced mix of sand and loam. Using a water soluble fertilizer allows gardeners to choose, with a great amount of precision, the amount of each chemical they wish to add to their plants. 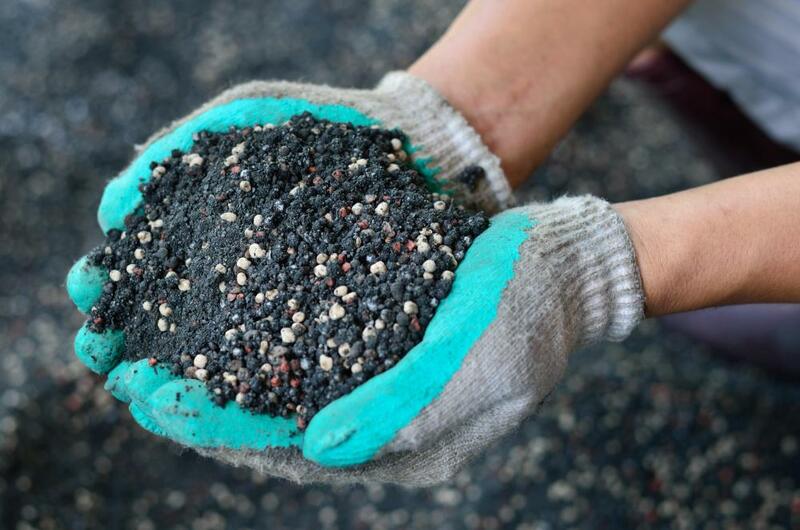 Due to its unique, engineered ability to dissolve completely in water, this type of fertilizer may be distributed in the garden through a variety of methods. It may be introduced to large gardens and lawns through an underground irrigation system. 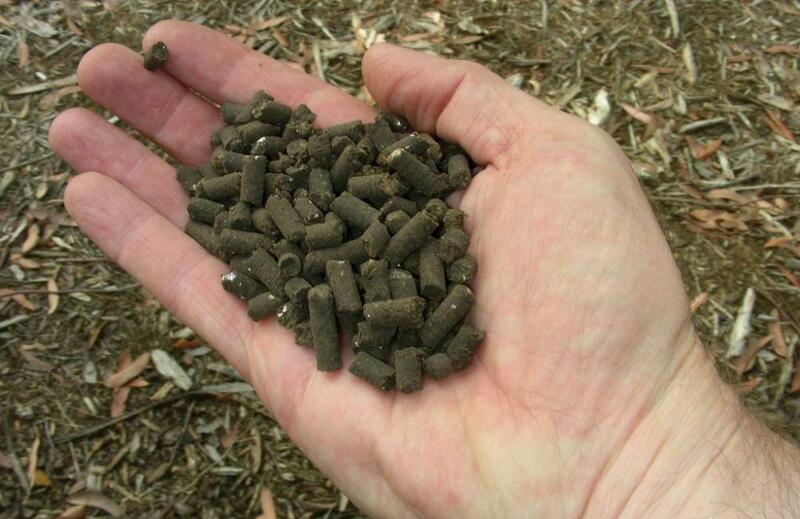 The fertilizer is designed to move smoothly through pipes without clogging the system. It may also be watered by hand into small flower plots or container plants by using a watering can. The amount of fertilizer present within the water may be adjusted according to the needs of the gardener. A water soluble fertilizer is typically sold in granular form, with instructions for mixing. These directions often include a feeding chart, which helps the gardener determine which concentration level will be most beneficial for his or her growing needs. Factors that affect the level of concentration of fertilizer within the water may include various components. Certain plant types may need more food than others. Vegetables typically have different nutritional needs than those of flowers, for example. The frequency of fertilization will also play a role in the intensity of the mixture. Plants watered weekly during the spring will have a different growth rate than those watered monthly during the winter. Water soluble fertilizers are available for purchase online and at local garden centers. Each manufacturer provides the essential nutrients required for healthy plant growth in differing amounts, which are typically listed on the product label. Each gardener should analyze the needs of the garden before purchasing fertilizer to ensure maximum product effectiveness.